_MAL8508.jpg, originally uploaded by Michael A. Lowry. 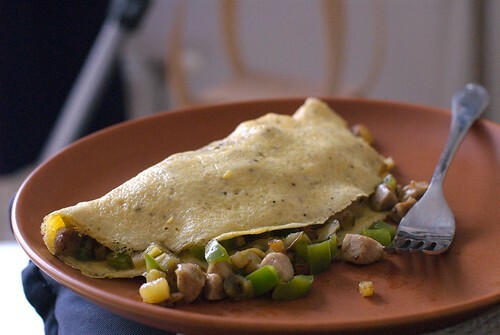 This afternoon I made a yummy omelet for lunch, with sausage, potatoes, bell peppers, jalepeños and cheese. I seasoned it with salt, black pepper, paprika, and cumin. Quick, simple, and delicious. I made twice as much of the meat & veggie mix as I needed, and I'll use the remainder to make another omelet for tomorrow's breakfast.